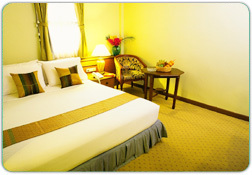 Above rates are nett per room per night in Thai Baht inclusive of Tax, Service Charge. 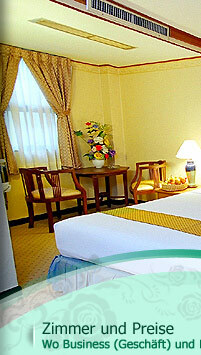 10 % Discount Massage in Hotel. 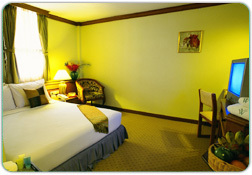 Above rates are nett per room per night in Thai Baht inclusive of Tax ,Service Charge and American Breakfast. 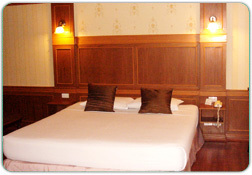 Superior , Deluxe and Mini Suite are provide Double Bed only. 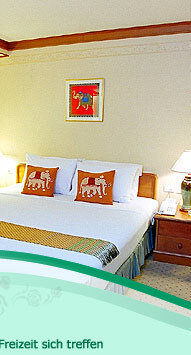 Above rates are nett in Thai Baht inclusive of gasoline and express way fee. 75 Gästezimmer mit Klimaanlage, Heisswasser, Dusche, Badewanne. Kabelfernsehen (CNN, NHK, ESPN etc. 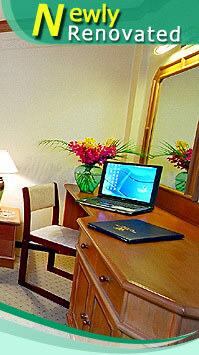 ), Mini-Bar, Telefon, 24 Stunden Hi-Speed Internet (wireless??? kabelloses), Limousinenservice, 24 Stunden Wäscherei.